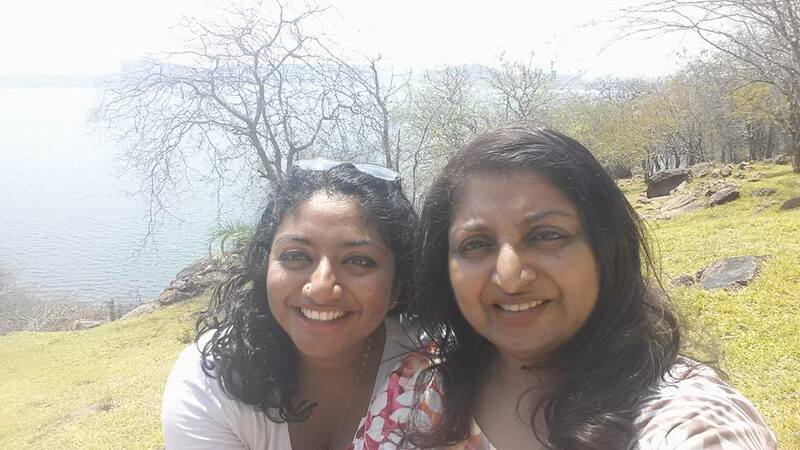 Ramya and Meena hail from Boston, Massachusetts and were visiting Livingstone staying at Chanters Lodge. Ramya works for the United States Centers for Disease Control and Prevention, CDC, a Federal agency and the leading national public health institute of the United States. CDC have an office in Lusaka and Ramya is half way through her two year contract and apparently loving life and Africa, despite the current difficulties of living in Zambia. She holds a Masters in Epidemiology from Boston University – ‘ the science that studies the patterns, causes, and effects of health and disease conditions in defined populations’ for the uninitiated like me! Mum is a banker back in Boston. The music on the show was good with tracks from Fuse ODG, Justin Bieber, R City ft Adam Levine, Sigala, Macklemore ft Ryan Lewis, Kayo, Ozzy ft OC, Lilanga and Zeus. Jay Hillz led the show as Milli Jam was out. The ladies said they both had very broad tastes in music – everything from Bollywood to Johnny Cash via Radiohead! The ladies told listeners that they had been on the Lady Livingstone sunset cruise while they had been in town as well as visiting the Falls which they declared to be ‘very dry’. They had also been on a one day safari to Chobe and were very excited as they had managed to see lions, watching over the carcass of a dead elephant from which they. the lions, had clearly been dining. They had seen a host of other game too. They were leaving back to Lusaka early the following morning. Asked where they would like to be and that they would like to be doing ten years’ from now, Meena said she would like to be retired with grandchildren visiting Zambia. Ramya wanted to have babies, a husband and a Phd in Epidemiology – apparently no great ambition to be big in the world of belly dancing!